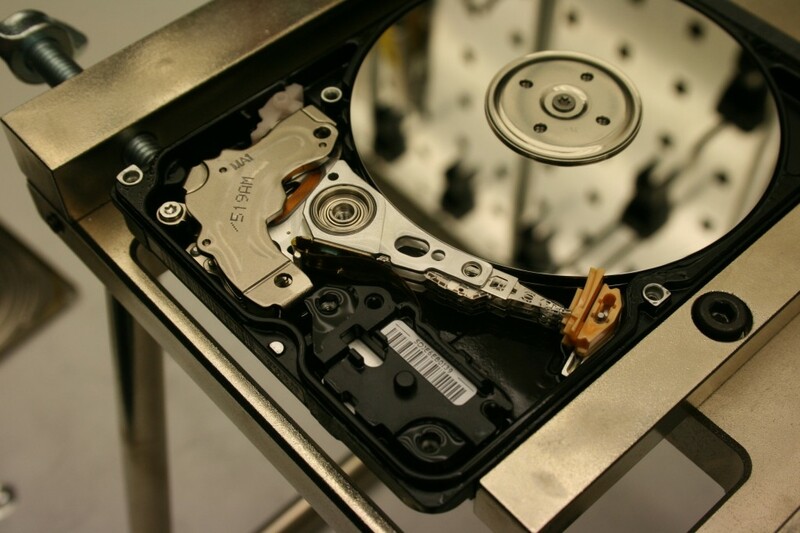 Western Digital Data Recovery – Oil Damaged – Yes, Oil! From time-to-time, we see some strange jobs in our lab. Last week was no different! 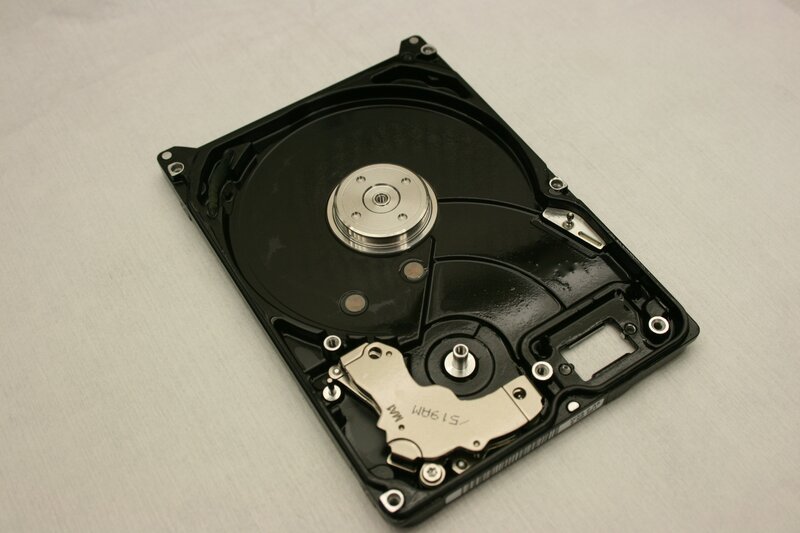 We received a Western Digital laptop drive which had been submersed in oil! Don’t ask us how this happened! The job came via one of our trade partners and they were unable to tell us what type of oil it was but we believe it was some variety of silicon oil as it was able to penetrate the breather hole and cover the entire internal environment of the drive. At first, we weren’t sure if a recovery was possible but we dismantled the drive and found that the platters were completely covered in the oil and the air filter was soaked completely. We were very surprised to see that so much of the liquid had penetrated the breather hole on the drive cover. It would appear that the laptop was submersed in the oil for a considerable period of time. This model – WD5000BEVT-75ZAT0 – contains 2 platters and has 4 Magnetic Heads. All components were removed for the drive, including the 2 platters. They were decontaminated in an Ultrasonic bath and cleaned thoroughly. We transplanted the platters into a new chassis and fitted a new set of Magnetic Heads. 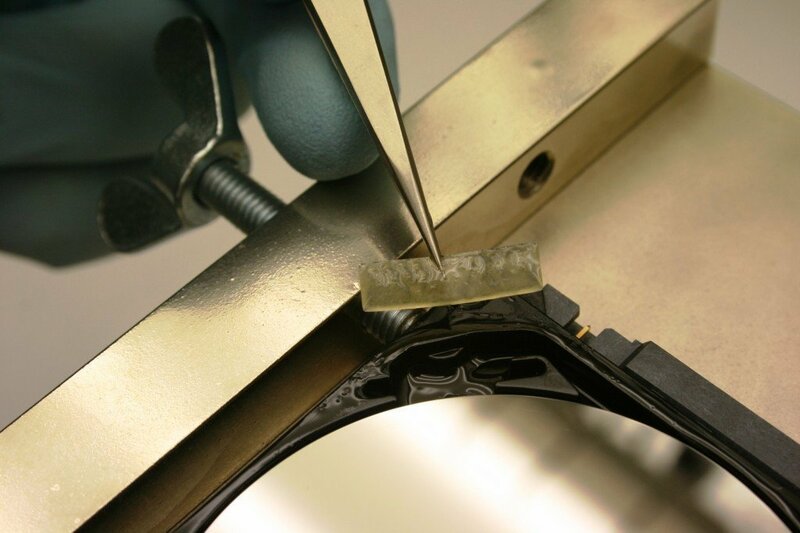 The original electronic circuit board was cleaned and tested. The drive was fully reassembled and it initialized and came ready first time! We selected the required data by reading the Master File Table and carried out a “selective image” of the specific data requested by the customer. Although the drive was quite slow to image, we attained a near-perfect recovery of the data.